A dinner and evening with winemaker, Pio Boffa, who will be joining us from Italy. 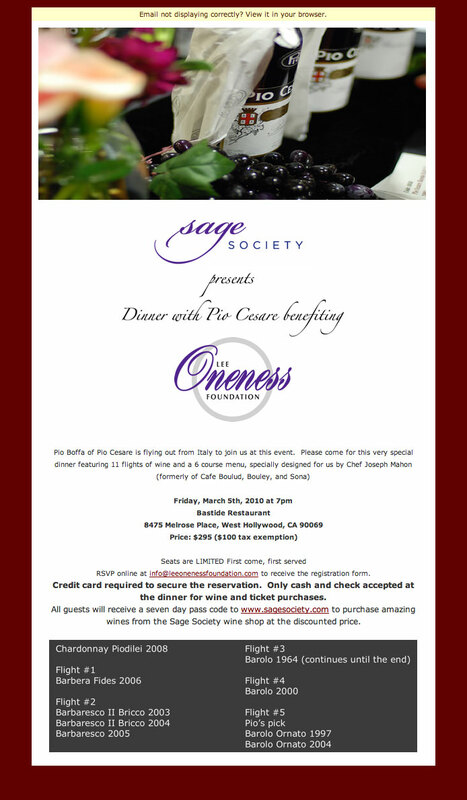 Benefiting the Lee Oneness Foundation. 11 Flights of Wine and 6 Courses specially prepared by Chef Joseph Mahon.